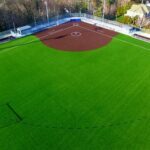 Bellevue College’s new synthetic turf soccer and softball complex was officially opened for use with a dedication ceremony Oct. 18, 2017 with men’s and women’s soccer home matches. The softball field will be home to the Bulldogs beginning with the 2018 season. The complex is located in the Northwest corner of campus. just west of Courter Field. 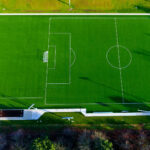 Along with team use, the soccer and softball fields may be rented to the general public throughout the year.